Today, we interview Joan Szechtman, an American writer who has just published her third time-travel novel about King Richard the Third. Fans of Joan have read her books, THIS TIME, which was published in 2009 and LOYALTY BINDS ME which was published in 2011. Her third Richard the Third novel, STRANGE TIMES, has just been published and is available on Amazon. Joan, to begin with, what made you interested in Richard the Third? In 2004 I read Sharon Kay Penman’s THE SUNNE IN SPLENDOUR. It turned my perception of Richard III from Shakespeare’s arch-villain I loved to hate to a sympathetic character I had to learn about. From Penman’s book I found RICHARD THE THIRD by Paul Murray Kendall. Those are two great sources to use when researching Richard the Third. Please tell us how you became involved with the Richard the Third Society? I believe you hold several key posts in the American branch. As I continued my research, I realized I needed to find resources beyond my local library and found the UK and American Branch websites of the Richard III Society. In addition to joining the American Branch, I signed on to both branches email lists so that I could ask questions of other members who were far more knowledgeable than me. At the time I joined the American Branch, the New England Chapter had just formed and they contacted me to see if I would be interested in participating. So, I joined them as well. A couple of years after joining the New England Chapter the first moderator resigned her position and I became the new moderator for the next two years. In 2011, the American Branch needed a new editor and I was pressed into service. I’m still the branch’s editor. We have two semi-annual publications: The Ricardian Register and The Ricardian Chronicle. The Register is more academic oriented and features scholarly papers and book reviews and is published both in print and digital editions every March and September. The Chronicle is basically a newsletter, focusing on member events, Ricardian travels, and member interviews. It’s published digitally every June and December. Amazing resources for the American students of Richard! Your new book “Strange Times” is now available on Amazon. Can you tell us something about it? This is the third book of the trilogy about Richard III in the 21st century. While each book follows Richard today chronologically, the books are written so there are no cliff hangers and can be read in any order, though it’s best to read them sequentially. The book does contain a brief “previously on” for those who haven’t read the first two books or need a refresher. What fascinates me about Strange Times is that it attempts to cover the fate of my favorite person in all of Richard the Third’s life: Viscount Francis Lovell, Richard’s closest friend. STRANGE TIMES takes place in both the 15th and 21st century and investigates what might have happened to Francis Lovell, Richard’s loyal supporter. Currently, there is no definitive historical record of Lovell after the Battle of Stoke where Lovell fought on the losing side against Henry VII. Richard is haunted by one possible outcome that has Lovell starving to death locked in an underground chamber in Minster Lovell. The book follows Richard using the time travel device to “see” what happened to Lovell after Stoke. Then everything goes pear-shaped. The trilogy is available on most online book sellers, including Amazon and Barnes & Noble for both print and digital editions, and digitally on iTunes, Kobo, Sony, etc. I know you have a science background which has influenced your books, so can you give us some background information? And why combine that interest with Richard the Third and the time travel books? While I do have an engineering background, having spent most of that career working on computer science and data communication, I believe my main reason stems from my love of science fiction and time travel stories. 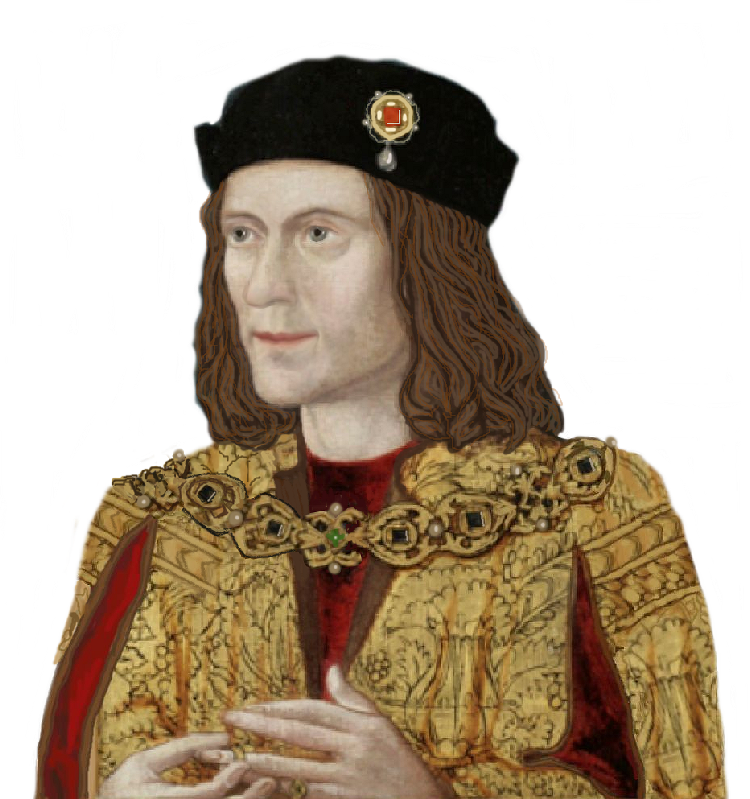 When I began my research on the real Richard III, I dreamt of having dinner with him. Since that was impossible, I decided to write him into the 21st century. I based his character on my research. One of the things that nagged at me was Richard III was quite young when he died—32. I felt there was more to his story than his short life revealed. I wanted to examine his character in a modern setting, without imposing our modern sensibilities on his 15th century actions. By bringing him into the future, I could challenge him in ways that I couldn’t in his own time. A primary goal in all my books about Richard III is to get the known history right. For that which is not known, I felt free to speculate as long as it was plausible. For example, there is no extant documentation as to what happened to Edward IV’s eldest sons—Edward, putative heir to the throne until parliament declared him illegitimate due to Edward IV’s bigamous marriage, and Richard of York, next in line until declared illegitimate. I developed a plausible theory that Richard hid them in other countries, such as Spain, and they survived Richard. In STRANGE TIMES, I have Richard learn what happened to his nephews after he had “died” and solve the mystery surrounding Lovell after the Battle of Stoke. Good for you! It is so frustrating to try to make people understand that there is no evidence that Richard the Third murdered his nephews. People have this need to cling to myths. STRANGE TIMES came to my attention because you received a “Discovering Diamonds” review. Please tell me something about “Discovering Diamonds” and the review. “Our aim is to showcase well-written historical fiction for readers to enjoy. We welcome indie-published writers because indie writers do not have the marketing backup of the big publishing houses, but if traditionally published novels come our way we’ll be happy to read and review them! Our intention is to have a good mix of good historical fiction to share with you, a reader. Thanks for talking to the Murrey & Blue blog. The history of Knepp Castle….